The Order of the Arrow (OA) is Scouting’s national camping honor society. 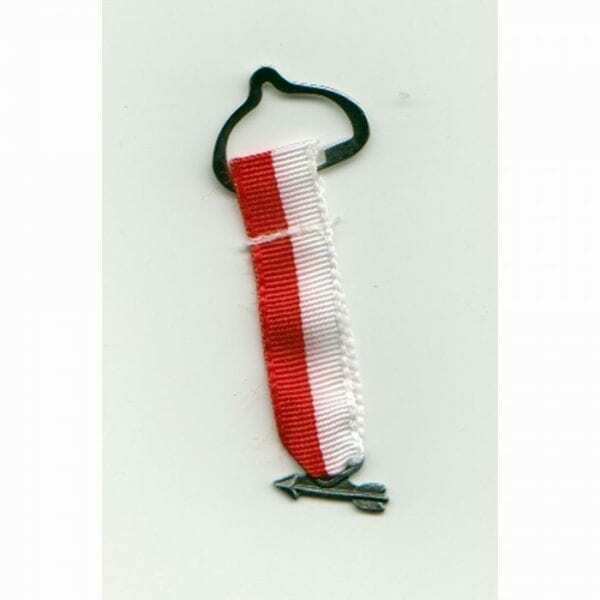 Silver arrow suspended from red and white ribbon signifies national membership. Worn on the right pocket button. 2 1/4″.